Dungeon Siege is a real-time fantasy computer role-playing game set in a fairly "classic fantasy" looking game world that is entirely seamless, whether the character is indoors or out, above or under ground. There is a vast array of arms and armour with excellent inventory icons, but in-game models vary greatly in quality. 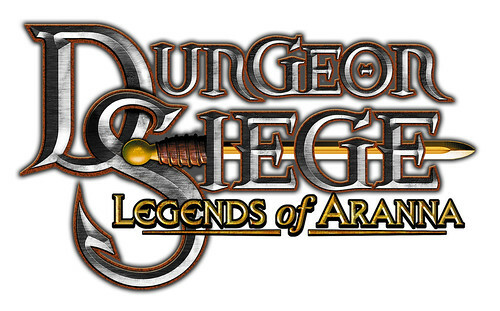 This Dungeon Siege fantasy game art page has several trailers and gameplay movies for Dungeon Siege and the Legends of Aranna Expansion.